Howler Monkeys belong to the genus Alouatta of the family Atelidae. There are currently fifteen species that have been identified. 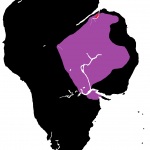 Their natural territory throughout Central and South America. 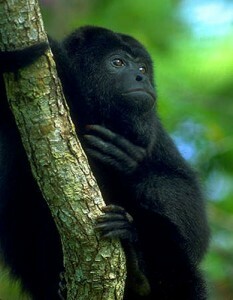 Howler Monkeys are known mostly for their incredible voices, which can carry for miles through the jungle. They begin howling for territorial displays or when they get excited. Their diet consists mostly of green leaves, fruits, vegetables, nuts and sometimes eggs. During a scout for an unknown type of lizard, Dr. Marty Guitierrez came upon a Howler Monkey who was eating the lizard he was seeking next to a mangrove swamp. Being shocked by the prick of a tranquilizer dart, the monkey dropped its meal and ran into the jungle. It is unknown which species Dr. Gutierrez encountered, only that it was alone while eating the lizard (later identified as Procompsognathus).